Recently I picked up The Protestant's Dilemma: How the Reformation’s Shocking Consequences Point to the Truth of Catholicism (San Diego: Catholic Answers Press, 2014). In the preface of the Kindle edition, an unidentified author states that the primary author, Devin Rose, has put forth a book looking to engage in "dialogue" specifically"with members of the thousands of Protestant sects." The book is said to raise issues that a Protestant "has never considered before," not simply to have dialogue for the sake of mutual understanding, but rather to have "conciliar" dialogue in which the goal is to show the logical inconsistency of Protestantism while leading a reader into "the fullness of truth that Catholic Church alone possesses in fullness." In response, I offer these reviews of The Protestant's Dilemma (T.P.D. ), to demonstrate that the book does the opposite of its intentions. It presents caricatures of Protestant positions, illogical conclusions, shoddy documentation, assumes the truth of the Roman Catholic worldview without proving it, and demonstrates that the author did not apply his own criteria to his own position. It was never a question in my mind that God is a reasonable being. I assumed it to be true, because even as an atheist I observed that the world functioned in a logical manner: Scientific laws were provable, mathematics could produce correct answers to problems, and deductive and inductive reasoning were demonstrably useful for understanding reality. The Christian faith, therefore, must also be supported by sound reasons, even if its truths also exceeded the limits of what reason could prove. I brought such an analysis with me into my new found faith, and I discovered that Protestantism’s tenets led to untenable conclusions. It simply was not possible to maintain a reasonable basis for my Christian faith while remaining Protestant. This is not to say that reason is not important, or that people should not reasonably think about their faith. What irks me about Rome's converts is that they take their reasoning only so far. Rose's conversion story displays the same logical inconsistency that most of them do. His story is filled with the traumatic uncertainly felt as a Protestant and then the joys of certainly that a conversion to Roman Catholicism brings. The author states as a Protestant he "prayed that Jesus would guide [him] into the denomination that was the truest." He was befuddled by Christians "claiming to be 'led by the Holy Spirit'" using the "the Bible alone" and having different understandings of the Bible. He asks, "How did I know who was right?" He concluded that the Holy Spirit would lead such a person to the true church, this along with "investigating the Catholic Church in earnest." What Rome's converts rarely admit though is that the story they so cling to as an objective reality is a subjective experience, as all personal stories are. There's not much different between this story and that put forth by a Mormon or an Islamic convert (and particularly a convert to Orthodoxy). It was the fallible decision of Devin Rose to conclude that Rome was the true church. At the root of the endemic divisions within Protestantism lies the absence (and by definition, the impossibility) of an interpretive authority for Scripture above that of the individual Christian. Protestants cannot accept that any person or group has this power, because the Bible itself has to be the ultimate authority. Ideally, Protestants would be united in their interpretation of the Bible; but as we have seen, from the beginning of Protestantism this has not been the case. This lack of unity leads inevitably to the principle of private judgment, which makes each believer the final interpreter of Scripture. Just as inevitably, each believer’s interpretation will be at least partly wrong, because no believer is infallible. But yet, private judgment was the very principle which led him to Rome rather than Orthodoxy or Islam! Why is private judgment acceptable when choosing to become Roman Catholic, and then once becoming a Roman Catholic, it is no longer acceptable? Mr. Rose claims he investigated those claiming to possess "the fullness of truth"- Roman Catholicism, Orthodoxy, and Mormonism (why not Islam?). His research most certainly included interpretations of Scripture. His study led him to conclude that Rome was the true church. But this raises the same problem. The body of literature that Mr. Rose went through is the same body of literature that Rome says is not open for private judgment, nor can it be understood properly without the infallible guidance of the Roman church. Yet, Mr. Rose used the very thing Rome says one is not to rely on, private judgment. "The fact is, he had to engage in the very same principle of private judgment that we all must use to decide among the various options; namely, a thinking, objective reasoning process, apart from reliance upon the system to which he would eventually subscribe. But it is that very same principle of private judgment that leads him to Rome and others of us away from Rome. Certainly Rome condemns the decision we reached, but she cannot condemn the principle we used to that decision, since it is the very same principle that all Roman Catholics must use to decide that Rome is the ‘true’ church. The Roman Catholic cannot introduce a double standard at this point and still be consistent.” [Eric Svendsen, Upon This Slippery Rock, 34]. An irony about Rome's conversion stories is that one never knows when they're finished. Take the ex-poster child for Catholic Answers, Gerry Matatics. He certainly loved to tell his story. Simply go back and listen to his debates with Dr. White. He’d tell that story every chance he could get. He’d even stay late into the night to tell it again and again. Now, go ask Karl Keating why Mr. Matatics is no longer endorsed by Catholic Answers. Gerry likewise used his reason. Similarly, how do I know that Devin Rose isn't going to keep having a new conversion story? How do I know his intelligence won't lead him to the positions held by Gerry Matatics, Robert Sungenis or Father Gruner? This is typical of these conversion stories. They do not point to Christ---they point to a triumphal entry into the Roman Church from one's own intellectual abilities. Their conversion stories are about what they did. They are about what wisdom and glory they achieved. They are not conversion stories of the broken sinner bowing his knee to the merciful God, given by the Father to Christ and irresistibly drawn (like Paul’s recounting in Galatians 1; cf. 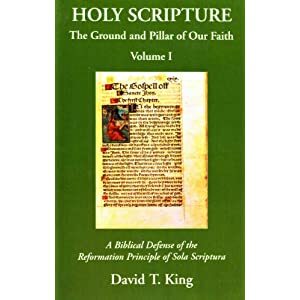 Acts 9); rather, these are accounts of people accepting the alleged Roman Catholic “fullness of truth”, and a rejection of Protestant essentials like sola fide and sola scriptura. In other words, the emphasis is not on spiritual rebirth, but rather the acceptance and realization of a “higher knowledge.” The conversion is not to Christ, but to an infallible church. Near the end, Dr. Quiggle brought up Martin Luther’s famous words about standing by what he thinks the Bible teaches. “Popes and councils have erred in the past. Unless I’m convinced by Scripture and reason, here I stand. And that’s what it means to be a Protestant.” I gave a final rejoinder that the individual Protestant is the ultimate interpretive authority, and that under Protestantism, not only popes and councils are error-prone, but all people and churches and denominations are, so who are we supposed to follow? Who teaches the truth of God without error? Here' it is again. Mr. Rose appears to not have any problem being the "ultimate interpretive authority" in determining that Rome is the "fullness of truth"while Islam or Orthodoxy is not. "Scientific laws were provable, mathematics could produce correct answers to problems, and deductive and inductive reasoning were demonstrably useful for understanding reality. The Christian faith, therefore, must also be supported by sound reasons, even if its truths also exceeded the limits of what reason could prove." This is a gross oversimplification. Scientific laws are not "laws" until they are "proven". Up until that point they are theories or conjectures. The process by which theories are "proven" is fraught with experimentation, trial and error, etc... The same can be said for mathematics. What we now consider "obvious" was once an innovation and went against the established thinking. Scientific laws and mathematics are also revisable based upon new insights and investigation. So Rose's analogy by way of certainty is overstated. Nice summary in the last paragraph James. Pretty much nails it. "Explain how that infallible, inerrant and inspired authoritative book has led you to one of thousands of denominations who cannot come to a conclusion on, oh, let's say the Real Presence of Christ in the Eucharist." What makes you think that the denominations in question haven't come to a conclusion on the Real Presence? "Well then tell me the conclusion that the myriad denominations have come to." "Now, what status do those other three gentlemen have in relation to Rome?" Oh my, that is a good question. Do we know? Has Rome made any sort of "official" pronouncement as to their status? If they were once separated from Rome, how can we be sure whether or not they've been accepted back? We need to be certain. "You do have a consensus." Yes. The consensus is that the doctrine of bread and wine being changed into the body, blood, soul, and divinity of Jesus Christ is nowhere found in Scripture. "Once we come to the point of making the act of faith or trust in Jesus, we Catholics "check our minds at the door" as you accuse of, and accept ALL that has Jesus revealed through the Church that He is One with." "Fewer than six in ten traditional Catholics who attend Mass regularly believe in the resurrection of the body (58 percent), compared with 75 percent of Evangelicals who attend services at least three times a month." Guy is peddling a utopian view of the RCC and those of us that have been there know it. For that matter, those of us who have been on the Catholic Answers forums also know full well the frequency with which the lament of poor catechesis is made. Now, if ALL Catholics accept ALL of what Jesus has revealed, how is it the case that so many Catholics don't believe the doctrines of the RCC and even the bishops recognize the poor state of catechesis? The statistics that Gallagher cites from the Austin Institute report pertain to the U.S. however, I'll offer the anecdotal example of the great cathedrals of Europe serving primarily as museums rather than places of worship as evidence that situation in Europe is no better than here. You are equivocating Guy by removing part of your statement ("we" and "we Catholics") from the original context. "I said, '"and accept ALL that Jesus has revealed' not 'ALL accept what Jesus has revealed'". Who accepts? "We Catholics". And what do "we Catholics" accept? "ALL that Jesus has revealed". That leaves us with: (paraphrase) "We Catholics accept ALL that Jesus has revealed". "Once we Catholics come to faith in Jesus Christ we accept ALL that He has revealed through His Church." Now, please let me know in what sense I have misconstrued your intended meaning. "Protestants, however, come to Faith via private judgment and even after accepting Christ continue using their private Judgement to decide how to read the Bible and which denomination to join and if and when to leave it for another. The Church as founded by Christ is not included in this decision as it is with a Catholic." Clearly, these two sentences are intended to draw an invidious comparison between Catholics and Protestants regarding the process by which each comes to faith and how they operate once they're in their respective denominations. As in the previous paragraph, the statements are blanket generalizations and since Guy has offered no caveats about when his statements might not hold true for any particular member within Catholicism or Protestantism, it is reasonable to assume that his statements apply to the entirety of each group. I'm taking him at his word. 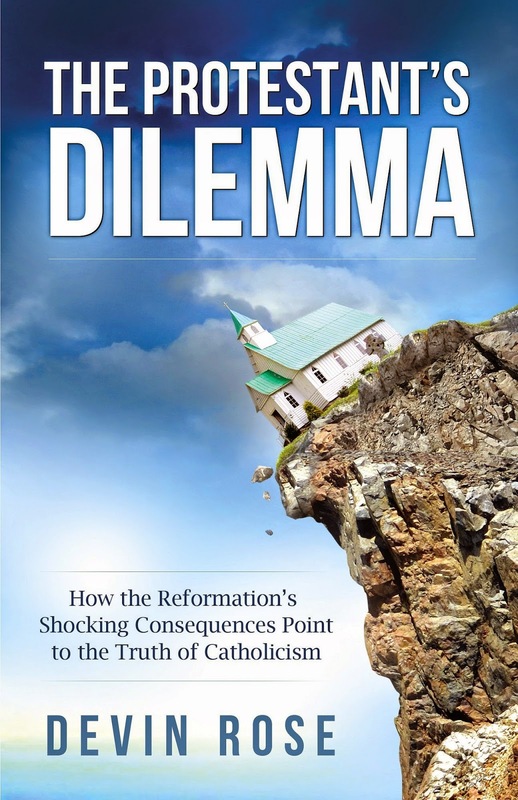 Likewise, in keeping with the topic of this thread, which is a review of The Protestant's Dilemma, Rose clearly by his title and the subject matter within is making the claim that all Protestants have a dilemma. Rose is making the argument that it is unreasonable for any and all Protestants to hold the beliefs that they do and that it is much more reasonable for any and all Catholics to believe as they do. This is merely the latest example of Guy trying to wriggle out of a tight spot of his own making. Maybe "we Catholics" doesn't mean ALL Catholics after all, but may refer to only Catholics who are cousins or distant relations. 'Fewer than six in ten traditional Catholics who attend Mass regularly believe in the resurrection...'." Your unwillingness to click on the hyperlinks that would bring you to both the article written by a Catholic and to the report from which that quotation comes is truly impressive. Had you condescended to click on a hyperlink you would have found that indeed I was not the author of the article nor the report. Nice work in deflecting any possible information that would not accrue to your position. "On your behalf, they accepted all the Church teaches..."
Well that's the downside of infant baptism, I guess, it fills the rolls with the unwilling. And you wonder why so many "in the Catholic Church" are poorly catechized. "Fewer than six in ten traditional Catholics who attend Mass regularly believe in the resurrection..."
The quotation in italics was the original, the quotation in bold was what Guy truncated. The statistics in question can be found in the section of the report titled Religion. And yet guy is shown to again have poor reading skills. On an unrelated note, I didn't realize that you use to be a Roman Catholic EA. It would be interesting to talk to you privately about that so as not to disrupt this topic. "And yet guy is shown to again have poor reading skills." And for someone who is allegedly certified to instruct in punctuation and grammar, he can be remarkably sloppy. You've moved the goalposts. guy's point is not that all catholics actually submit or never dissent, but that RCism, by the nature of its claims, allows for an actual change after submission - there is no such change allowed by Protestantism by nature of its claims. That's Devin's point which James and Svendsen are missing - everything remains under "private judgment" in Protestantism and perpetually so - because of the very nature of its claims. NT believers had to use private judgment in submitting to Christ/Apostles authority claims - that did not make those claims superfluous or meaningless (let alone worthy of rejection/indifference as Protestantism does in rejecting any body claiming divine authority/infallibility). James and Svendsen are just reiterating Salmon's argument which was dealt with the likes of BC Butler and Ronald Knox long ago - no one denies one makes choices - that' a caricature and smokescreen of the real issue. Butler: "Now no one, so far as I know, has ever maintained that an act of faith, in one who has reached the age of reason, does not involve or imply an act of personal decision, and a Roman Catholic advocate has no inclination to contest this point. The Church teaches that an act of faith is a virtuous act, and no act can be virtuous unless it comes from the intelligence and will of the agent. We do not merely concede the point, we strongly maintain it." Knox: "Reject private judgment? Of course Catholics have never rejected private judgment; they only profess to delimit the spheres in which private judgment and authority have their respective parts to play. Is it really so difficult to see that a revealed religion demands, from its very nature, a place for private judgment and a place for authority? A place for private judgment, in determining that the revelation itself comes from God, in discovering the Medium through which that revelation comes to us, and the rule of faith by which we are enabled to determine what is, and what is not, revealed. A place for authority to step in, when these preliminary investigations are over, and say "Now, be careful, for you are out of your depth here....these and a hundred other questions are questions which your human reason cannot investigate for itself, and upon which it can pronounce no sentence, since it moves in the natural not in the supernatural order. At this point, then, you must begin to believe by hearsay; from this point onwards you must ask, not to be convinced, but to be taught." Is it really so illogical in us, to fix the point at which our private judgment is no longer of any service?" "I too would love to hear about EA's act of Faith"
Well, as I noted earlier, you won't. "A place for authority to step in, when these preliminary investigations are over, and say "Now, be careful, for you are out of your depth here....these and a hundred other questions are questions which your human reason cannot investigate for itself, and upon which it can pronounce no sentence, since it moves in the natural not in the supernatural order." Sounds remarkably like what Galileo was told. In case anyone thinks that I offer the example of Galileo simply as snark, consider the sentence pronounced upon him. "We say, pronounce, sentence, and declare that you, the said Galileo, by reason of the matters adduced in trial, and by you confessed as above, have rendered yourself in the judgment of this Holy Office vehemently suspected of heresy, namely, of having believed and held the doctrine—which is false and contrary to the sacred and divine Scriptures—that the Sun is the center of the world and does not move from east to west and that the Earth moves and is not the center of the world; and that an opinion may be held and defended as probably after it has been declared and defined to be contrary to the Holy Scripture; and that consequently you have incurred all the censures and penalties imposed and promulgated in the sacred canons and other constitutions, general and particular, against such delinquents." Galileo, in part, was sentenced for maintaining a figurative (non-literal) interpretation of several passages (Joshua 10:13, Psalm 19:5, Psalm 104:1-5, Isaiah 40:22). Seven of the ten cardinals presiding at his trial signed the sentencing order. Not one of them or the three that demurred from signing challenged the accepted interpretations. Today, unless you're Robert Sungenis, hardly anyone adheres to a literal interpretation of the passages in question. In light of current Catholic exegesis, Galileo was correct and the cardinals were wrong. "...from this point onwards you must ask, not to be convinced, but to be taught." This a non-sequitur as Protestants don't deny the role of teachers or of teaching in the Church. "Is it really so illogical in us, to fix the point at which our private judgment is no longer of any service?" Is it really logical to fix that point at the same place for every individual? How does that point get assessed when considering over 1 billion Catholics? Are those points kept in the Vatican database? Let's move beyond village atheist charges and analysis. "This a non-sequitur as Protestants don't deny the role of teachers or of teaching in the Church." No, the problem is such teachers and teaching are always subject to error (where error is defined as conflicting with my current provisional interpretation of Scripture) - hence semper reformanda and the ever-conditional authority of confessions and the like. That's why everything remains subject to private judgment as I said above - there's no actual "submission" to such teachers (how can there be, given the nature of Protestant claims in the first place and rejection of the types of claims RCism and other bodies make) - so Knox's statement is hardly a non-sequitur but rather drives right at the heart of the issue. Please direct me specifically to the hyperlink in the haystack that you think addresses my post. Unlike Guy, I will actually read material presented to me via hyperlink. "No, the problem is such teachers and teaching are always subject to error (where error is defined as conflicting with my current provisional interpretation of Scripture) - hence semper reformanda and the ever-conditional authority of confessions and the like. That's why everything remains subject to private judgment as I said above - there's no actual "submission" to such teachers (how can there be, given the nature of Protestant claims in the first place and rejection of the types of claims RCism and other bodies make) - so Knox's statement is hardly a non-sequitur but rather drives right at the heart of the issue." And how was that situation of "such teachers" any different in the Galileo case wherein the teachers in the RCC got the interpretation wrong and sentenced Galileo based upon that incorrect interpretation? Where was the correct instruction on the interpretation of Scripture from "Holy Mother Church" at that point? Where was the caveat that only ex cathedra statements are infallible and not the casual utterances of any Church personage? How about this, where was the direction that the "Church" only rules on matters of faith and morals and that the "Church" doesn't weigh in on matters of science? You see, the incorrect understanding of Scripture was allowed to exist for CENTURIES without correction. How could that be with an infallible teacher on the scene? No, the problem is that the understanding of allegedly infallible teaching is always contingent on the fallible understanding of the fallible recipient, so the addition of the allegedly infallible teacher only moves the alleged problem back a step. Infallibility only insulates the Magisterium from teaching error, it does nothing to vouchsafe the correct understanding or assent of the laity, as you and Guy have tacitly admitted. So the alleged freedom from private interpretation never materializes as the Maggie Gallagher article demonstrates. That's why everything remains subject to private judgment. I've never heard this truth expressed so eloquently. Thank you. "the problem is such teachers and teaching are always subject to error"
Teachers in the RCC (CCD instructors, priests, nuns, bishops, popes, etc...) are always subject to the very same degree of error are they not? So how does Catholicism offer an epistemic advantage over Protestantism in that case? Even when explaining dogma, they are not free from error. In fact, Catholic theologians state that only the dogmatic definition and not the underlying rationale or logic of an ex cathedra statement is protected under the charism of infallibility. Can anyone direct me for example, to an infallible list of infallible statements? "No, the problem is such teachers and teaching are always subject to error...hence semper reformanda and the ever-conditional authority of confessions..."
I see Catholics use the same phrase or a variation of it. When Catholics use the phrase Ecclesia Semper Reformanda , can I also infer that that is an indication of an "ever-conditional authority of confession"? Guy said: "I am still dying to read EA's testimony." Ain't happenin'. Unlike Devin Rose, I'm not looking to sell books. Guy Fawkes: I'm deleting some of your comments as I explained a few days ago. I did leave a comment on Devin's blog, he didn't offer a response. "It seems you like to talk about Catholics rather than to Catholics." This just proves how ignorant you are guy.
" I gave her away as a kitten to a French girl who later gave her back because she was so unfriendly. She immediately bonded with me though." The Galileo case does not touch infallibility - which your questions presuppose - as the first 3 links in the search link I sent you explain. "Where was the caveat that only ex cathedra statements are infallible and not the casual utterances of any Church personage?" The same caveat where it was understood that not all canons of ecumenical councils were irreformable or infallible. The distinction between discipline and universal doctrine was not spun out of air at Vat1. "You see, the incorrect understanding of Scripture was allowed to exist for CENTURIES without correction." Odd that all those espousing heliocentrism were not condemned then. "so the addition of the allegedly infallible teacher only moves the alleged problem back a step." No, this typical Protestant response doesn't fly anymore than the private judgment one does. By this logic, Christ/Apostles infallible teaching authority and OT interpretation was completely irrelevant to NT believers since they still had to interpret it. Your argument could be used by a non-believing Jew against the Apostles claims to authority. "Infallibility only insulates the Magisterium from teaching error, it does nothing to vouchsafe the correct understanding or assent of the laity, as you and Guy have tacitly admitted." So because NT believers might not correctly understand Christ/Apostles teaching, those claims of authority are useless. "So the alleged freedom from private interpretation never materializes"
No, that only applies to the Protestant position as explained above because it eschews the possibility of submitting to such an authority in the first place. As to the Ecclesia Semper Reformanda article, you're equivocating - you'll have to point out where the author is saying dogmas are ever-provisional and subject to revision and being overturned. He's speaking of pastoral issues. The Protestant semper reformanda notion is a completely different beast. Guy Fawkes: If you keep making inane comments, I'll keep deleting them. EA said...Guy said: "I am still dying to read EA's testimony. "Ain't happenin'. Unlike Devin Rose, I'm not looking to sell books. "If you keep making inane comments, I'll keep deleting them." Thanks - sounds like a full time job, though. "This just proves how ignorant you are guy." remain. I suspected you would but had to be sure. Snottiness directed at a Catholic is kosher with you. Snottiness right back from a Catholic is "toxic and mocking", huh? You made the claim that James won't talk to Roman Catholics. If you would look at his old posts you would see why that claim is ridiculous. James has had years of direct interactions with Roman Catholics here and on their websites and blogs. The fact that you were trying to get James to delete your posts shows just how malicious you truly are. I see no hypocrisy from James. "Check out Devin's blog. Or C2C. Snottiness is not allowed, period. No "good ol' boys club" for either side." I can't speak for Devin's blog because I've never been there, but you must be kidding about CtC. They circle the wagons on a regular basis.